Photograph: Courtesy of the Art Institute of Chicago Todros Geller, Strange Worlds, 1928. During the first half of the 20th century, hundreds of thousands of people moved to Chicago to escape persecution or poverty at home. The rarely seen 80-plus works in “They Seek a City: Chicago and the Art of Migration, 1910–50” reflect the experiences of these newcomers and an interest in social justice, especially on the part of artists from marginalized groups such as African-Americans and Jews. Elizabeth Catlett (1915–2012) and the more obscure, Ukrainian-born Todros Geller (1899–1949) capture the struggles of migrant and immigrant workers particularly well. 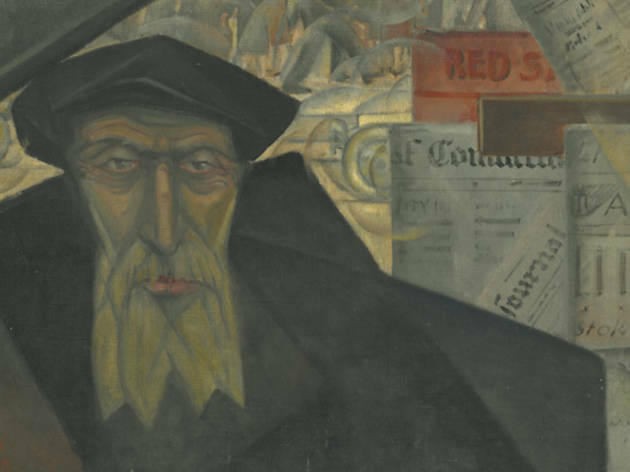 Geller’s painting Strange Worlds (1928) sums up the alienation felt by many new arrivals: It depicts an old newspaper vendor in the shadow of the El, as the activity of the city—rendered in a vibrant Cubist manner—swirls around him. The black maid in Catlett’s linocut In Other Folks’ Homes (1946–47) appears constrained by the print’s borders: a metaphor for the limitations African-Americans faced during this time period. Curated by Sarah Kelly Oehler, this show includes a revelatory section exploring the connections among local artists and Mexican muralists such as Diego Rivera and José Clemente Orozco. 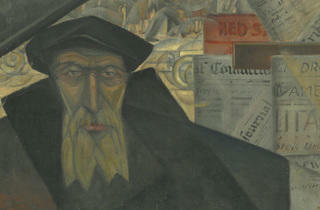 Catlett and many other Chicagoans studied with Rivera in Mexico. Even artists who stayed in Chicago were inspired by traveling exhibitions of Mexican prints and paintings. “They Seek a City” comes to an abrupt end with the New Bauhaus, the design school founded in Chicago by László Moholy-Nagy (1895–1946). A Hungarian immigrant who had taught at the Bauhaus in Germany, Moholy-Nagy was progressive and committed to social reform. But his sophisticated abstract art contrasts starkly with the Social Realism employed by Chicago’s other immigrant artists during the 1930s and early 1940s, and it unfortunately seems out of place.